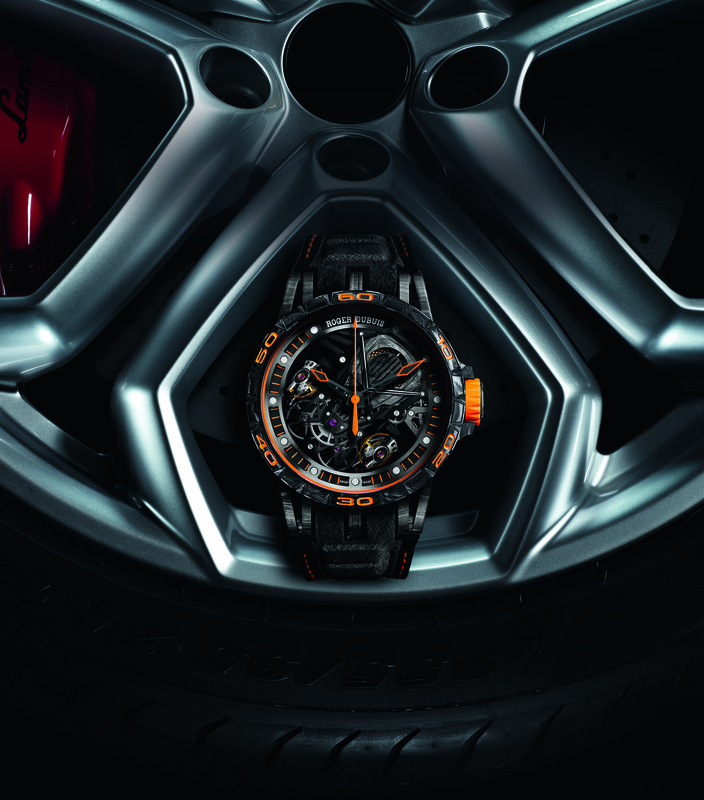 Roger Dubuis and Lamborghini Squadra Corse share a focus on aesthetics in their respective R&D-driven approaches, which created this mutual attraction between the watchmaker and the automobile manufacturer, cementing a strong partnership that promises even more exciting launches in the future. 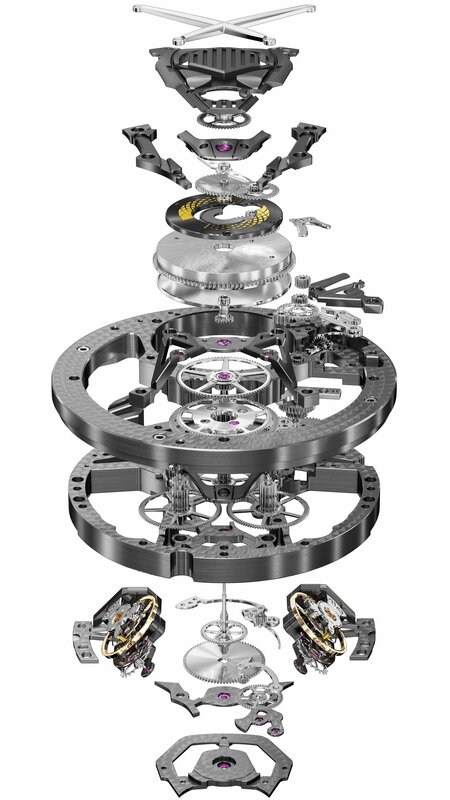 Roger Dubuis has been increasingly interested in other types of industries -remember the partnership with Pirelli– through its plans to create timepieces endowed with elements that others do not or cannot provide. It isn’t for nothing that the brand’s motto is “Dare to be rare.”: its boldness in ignoring limits and in pushing to overcome watchmaking obstacles has led to discussions with aircraft, boat, motorcycle and car manufacturers, the latest of which is its association with Lamborghini, with whom it shares similar a corporate philosophy, strong R&D, and an affinity for charismatic lines and superlative technical engineering. Two iconic, rule-breaking innovators; one ground-breaking technology; a captivating watch collection: Excalibur Aventador S, the first horological expression of a high-speed partnership that emanates power and unforgettable sensations. 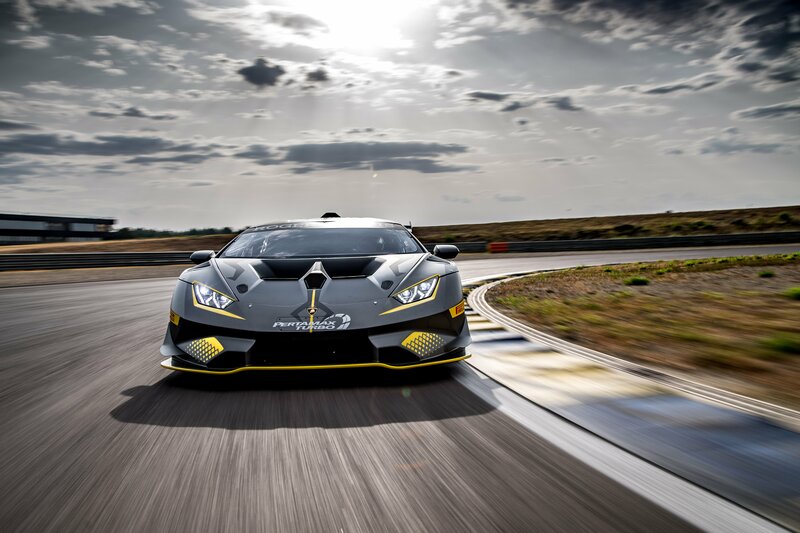 Determined to create an ultimate experience like sliding into a Lamborghini, the teams combined, based on the same technology used for Lamborghini cars, top-rate performance with high-tech materials including multi-layered carbon and C-SMC carbon, a world premiere use of this material featured in the orange-liveried limited edition. 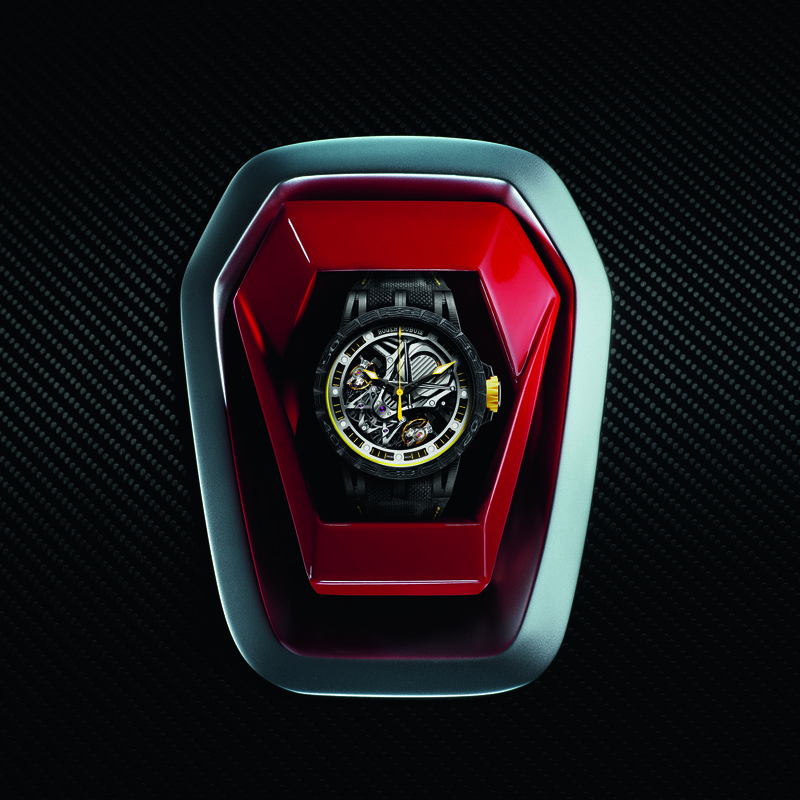 Although associating these materials with a sophisticated sporting look while maintaining a sense of luxury and prestige was a challenge, the Roger Dubuis engineers and designers succeeded in designing a charismatic power control display forming a central signature in the middle of the watch, just like that of the super sports car. The Excalibur Aventador S lives up to the “Powered by Raging Mechanics” signature; it is driven by an outstanding ‘engine’ in the shape of the specially developed Duotor calibre, notably distinguished by engine strut bars revisiting the iconic Roger Dubuis Astral Skeleton principle in a clear contrast with the rest of the movement, resembling a transparent engine ‘hood’. The Lamborghini-exclusive Roger Dubuis movement was entirely reinterpreted in light of this automobile alliance, keeping with the proud Lamborghini tradition and fuelled by the air for technological complexity both parties share. In true “Dare to be rare” fashion, the Excalibur Aventador S is available in 88 limited edition Lamborghini “Giallo Orion” yellow paint pieces, while the even more exclusive 8-piece series comes in “Arancio Argos”, the famous ‘flaming’ Lamborghini orange. We dared to be rare as one of the few to try the amazing watch upon its launch, and it’s safe to say it was indeed a raging experience! Keeping an eye out for the next roar in this exciting partnership.